"The interaction of men and women isn't very logical." The above info came from Who Wants to Know? and Blaine, and was edited by yours truly (contact me). Ritsuko Akagi is following in her mother's footsteps, leading a life of science. 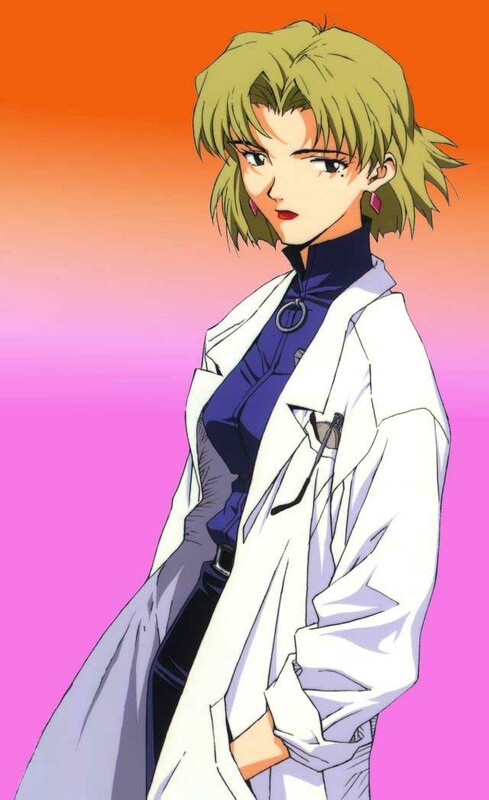 Her mother had developed the supercomputer Magi, which is the backbone of NERV, and now Ritsuko leads development on the Evangelion Project. Ritsuko appears to keep a cool head, but she secretly worries about NERV and the actions the organization takes. She's also an old friend of Misato and privy to NERV's darkest secrets. Her mother, after all, helped start it all.